We’re thrilled to announce that Shooting Star Chase will be an eBay featured charity from Monday 24th September to Sunday 30th September. What this means is if you’re buying an item through eBay and paying through PayPal, you can choose to give a donation at checkout to Shooting Star Chase to help us continue our vital work. We support families from diagnosis to end of life and throughout bereavement with a range of nursing, practical, emotional and medical care. 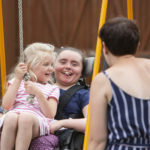 Our bespoke support is free of charge to families and available 365 days a year. 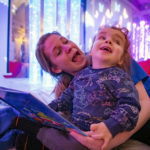 £2 could pay for therapeutic books to help children living with life-limiting conditions explore their feelings. 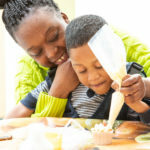 £5 could pay for the ingredients to bake cakes at one of our activity days giving families the chance to create special memories together. £10 could go towards creating memory boxes for families to treasure. Want to do more? Why not add Shooting Star Chase as a favourite charity so we always appear at your PayPal checkout?